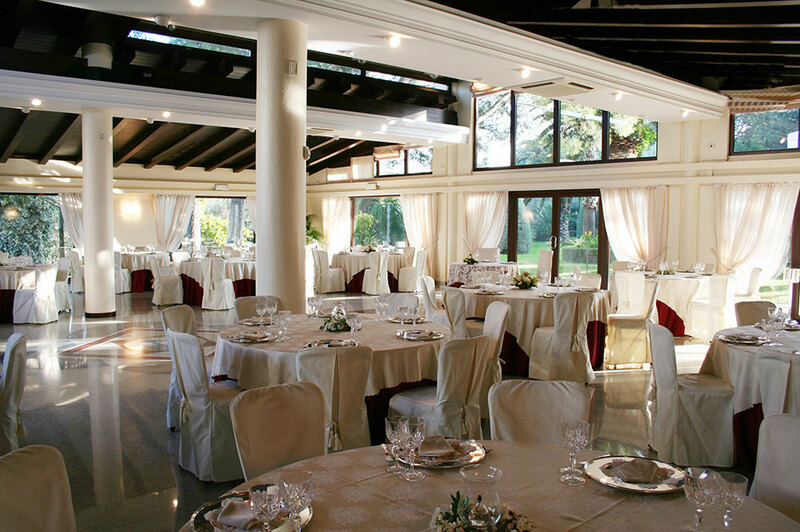 Surrounded by magnificent glass windows, large and comfortable welcome our banquet halls. 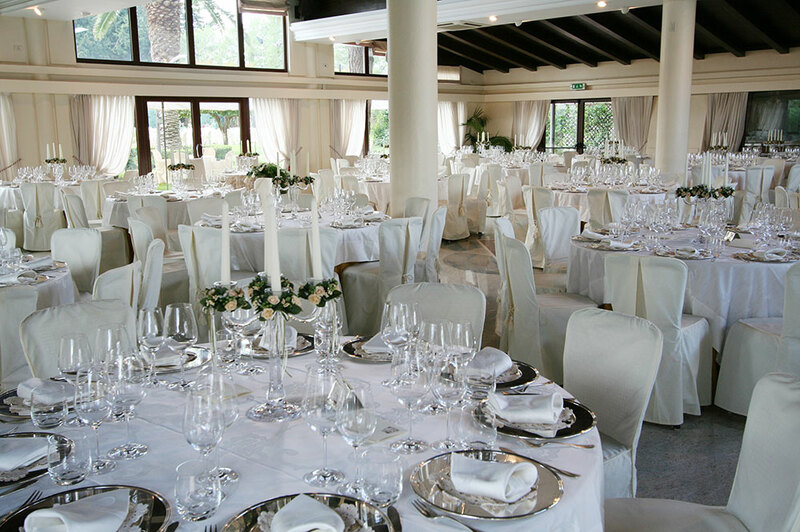 Inside the main building furnished with valuable antique furniture, there is the Hunting Room which is ideal for more intimate banquets, ensuring a high level of hospitality to hundred guests and a direct view to the wonderful winter garden that allows the making of magnificent buffets even during the coldest season. 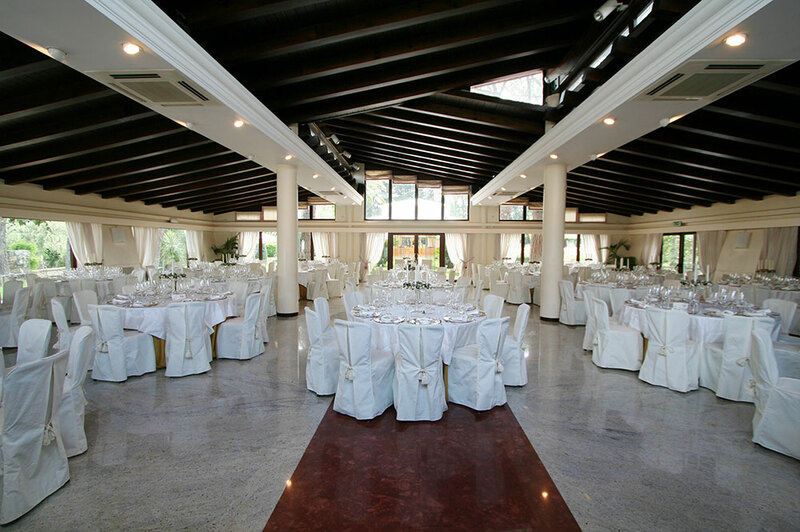 The basic beauty of the facility will leave your guests amazed even in the great Mariage Hall, being more spacious and set to receive up to three hundred guests. 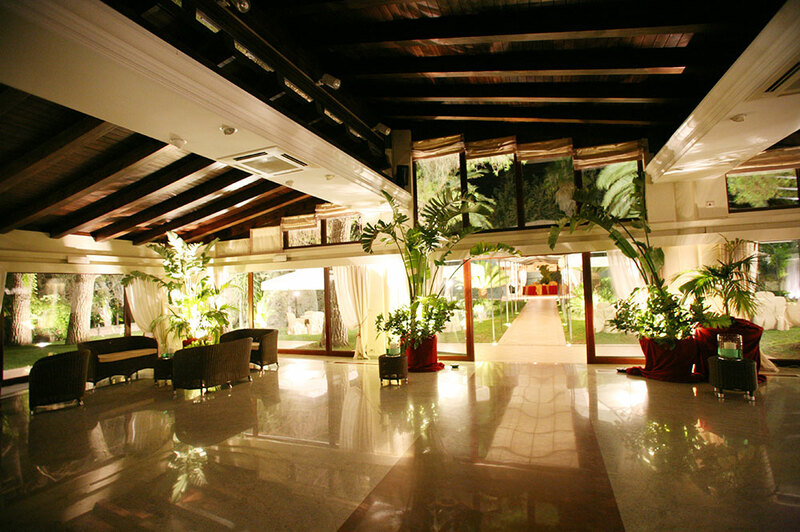 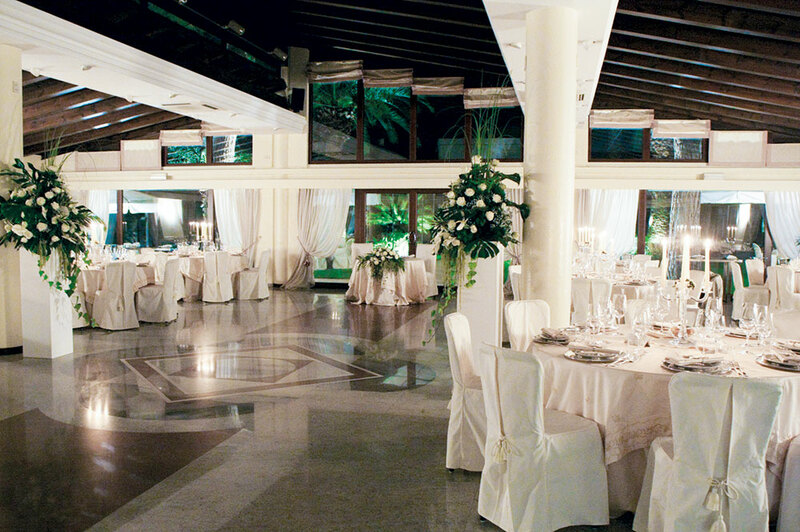 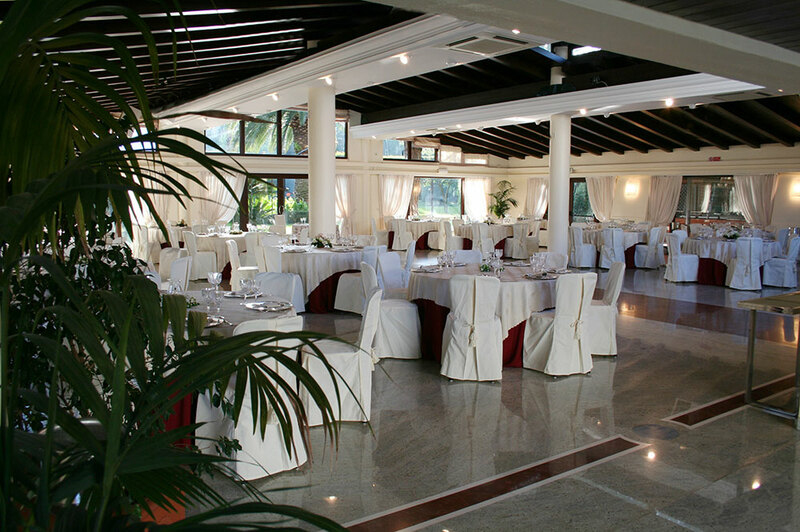 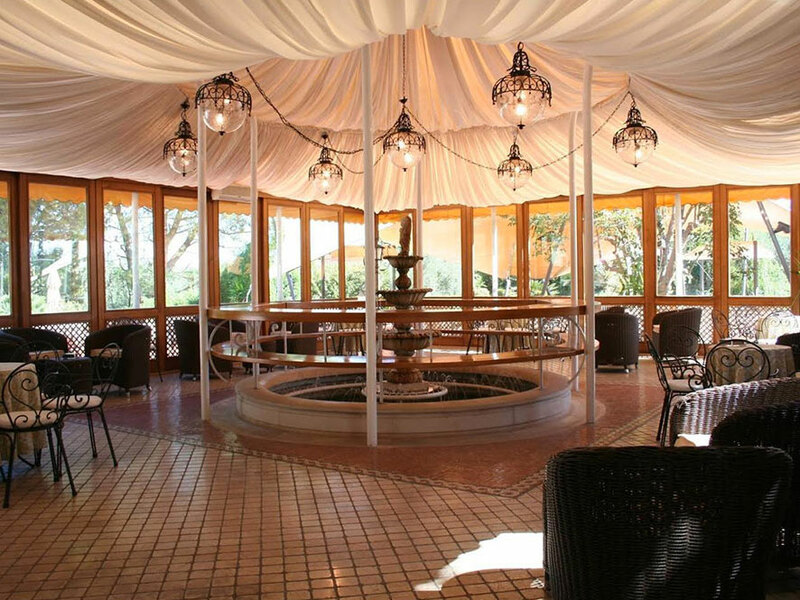 Next to the scenic gardens of the villa, this hall allows you to perform a traveling-like party. 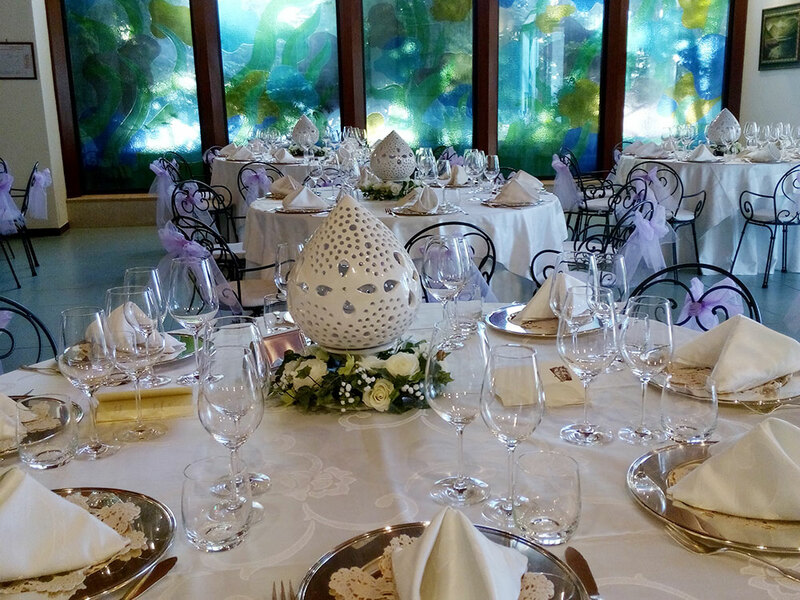 From the ceremony to the cutting of the wedding cake, we will offer you the most original solutions in harmony with every wish, so that you can keep a wonderful memory of your wedding party forever. 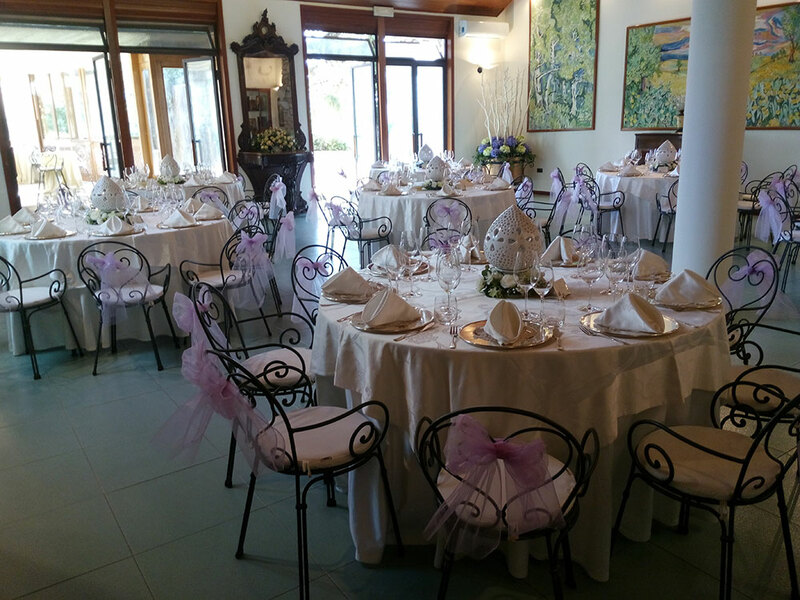 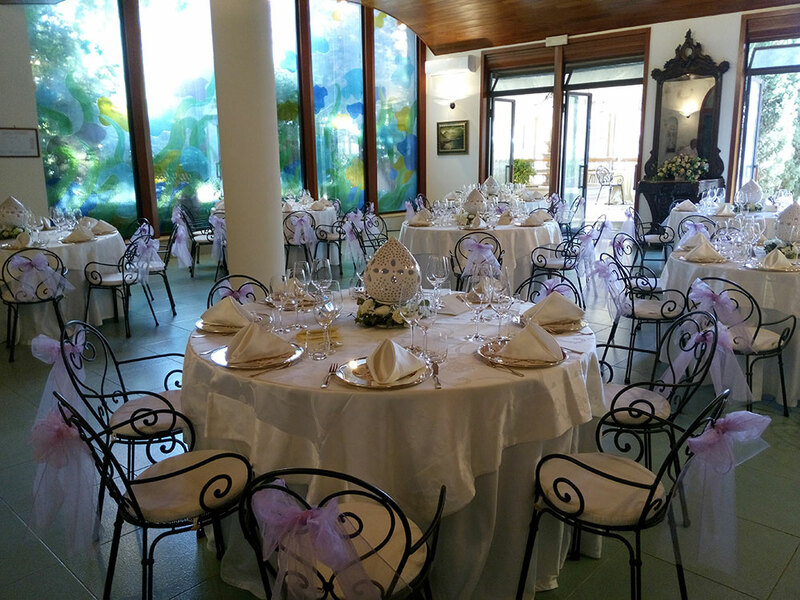 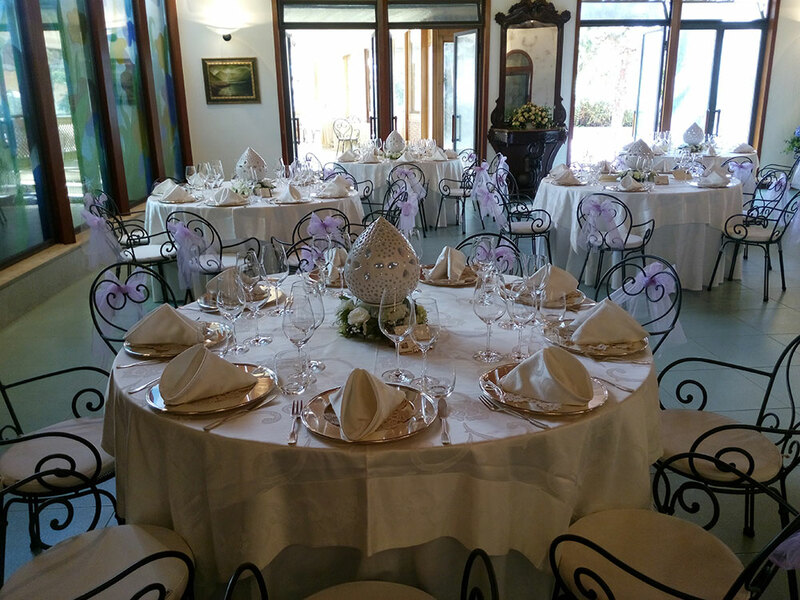 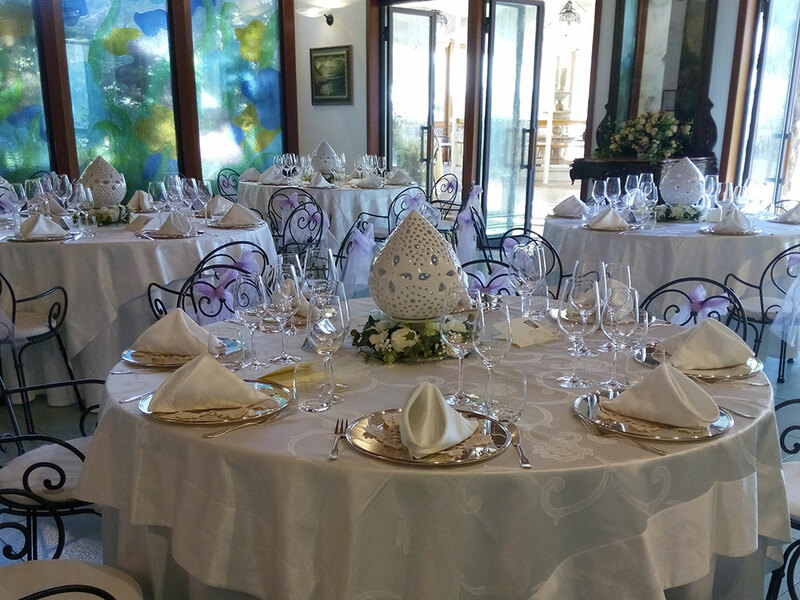 The choice of the Villa related to a magical external atmosphere will be a guarantee of quality for your wedding party.